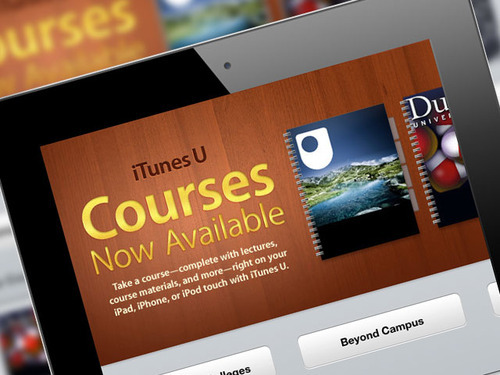 La Trobe University is the only Australian university offering courses through iTunes-U, which it views as a shop window to full online degrees. It’s first-semester iTunes-U offering, which takes in the history, literature, art and architecture of ancient Greece to the end of the 5th century BC, has attracted a staggering 45,500 subscribers and still counting. La Trobe has six first-semester courses on iTunes-U with a total of 100,000 subscribers and 2.3 million downloads of lectures and materials. The university now is considering whether to offer a certificate of recognition for completing its courses as it looks to capitalise on the phenomenal success of its podcasts. Certification would require subscribers to take an online multiple choice test, after which they could get a certificate. Harvard University and the Massachusetts Institute of Technology (MIT) have announced the formation of edX, a transformational new partnership in online education. Through edX, the two institutions will collaborate to enhance campus-based teaching and learning and build a global community of online learners. MIT and Harvard expect that over time other universities will join them in offering courses on the edX platform. The gathering together of many universities’ educational content on one site will enable learners worldwide to access the course content of any participating university from a single website, and to use a set of online educational tools shared by all participating universities. The rapid emergence of online education and resources represents a significant challenge to traditional concepts of higher education and the nature and character of higher education institutions. All universities are introducing “flexible” provision, utilising a mix of traditional delivery and online resources, such as podcasts, study portals, interactive discussion boards, blogs and YouTube. This suits the lifestyle of “Gen Y” students in particular, who are entirely comfortable with technology. Flexible delivery allows many students, who are notionally enrolled in the conventional fulltime on-campus mode of higher education, freedom of employment that was not available to students even half a decade ago. The so-called ”digitisation” of higher education will only become more prevalent and pervasive, in a relatively short period and in ways that are not yet clearly portended. The most important and paradoxical fact shaping the future of online learning is this: A brain is not a computer. We are not blank hard drives waiting to be filled with data. People learn from people they love and remember the things that arouse emotion. Australia’s synchrotron will be able to continue operating, under a joint funding agreement between the Victorian and Commonwealth governments. The facility was built after intense lobbying by the previous Victorian Labor government. The Baillieu Government had been reluctant to allocate funding beyond the middle of this year. Under a memorandum of understanding signed 28 March, the Commonwealth government will contribute $69 million towards its operating costs over the next four years. The State government will provide an additional $26 million. The Australian reports that the vehicle for delivering federal and university funds within the rescue package will be a special fund called the strategic research initiative, which will draw on $25m from the Australian Research Council, $5m from the National Health and Medical Research Council and an estimated $25m in university money. there is no new Commonwealth funding in the package, meaning agencies will have to fund money from their existing budgets. Commonwealth Minister for Science and Research Chris Evans says the synchrotron is a vital piece of scientific infrastructure for Australia. This will rise to 90% by 2020 (compared with 80% in 2010). Simon Marginson, professor of higher education at theUniversityofMelbourne, suggests that any faculty or division with ERA 3 would have to worry as ANU clearly wants to concentrate in ERA 4 or 5. Marginson said he expects to see more universities use the ERA to reshape their research profile. University of Sydney V-C Michael Spence and other senior leaders believe the university faces a “major reputational and budgetary issue” in its “substandard performance in teaching and research”, an internal document obtained by The Australian has revealed. In a letter to colleagues in August, three months before 100 redundancies were announced, provost Stephen Garton said: “Some other Go8 universities are pulling ahead of us in terms of research performance” as measured by ratings in the Excellence in Research for Australia audit and world rankings. “Similarly . . . in many areas we are consistently below the Go8 average in terms of teaching performance.” It was also suggested that many of these poor research performers are also not making up teaching hours to compensate, adding unnecessarily to levels of part-time teaching expenditure. “Given our current budget situation, these are things we can ill afford to ignore”, wrote Garton. The growth in enrolments in Australia’s largest universities has largely been met with casual academics, whose growth in numbers outstrip permanent staff, according to a new research report for the LH Martin Institute by Frank Larkins. A separate study has also revealed the rate of academic casualisation varies wildly across the sector, from a high of 36% to as low at 5%, based on 2010 government data. The average rate was 21%, up from 20% in 2009. The wide variation, which is partly influenced by the use of industry professionals in some disciplines, is a challenge for the Tertiary Education Quality and Standards Agency in monitoring and interpreting casualisation rates. TEQSA has said a heavy reliance on casuals could indicate potential risk to student learning. TEQSA commissioner Michael Beaton-Wells said the watchdog does not oppose casual staffing, but with traditional boundaries on the number of casual academics being “pushed”, the regulator would be alert to any quality implications. In his paper, Larkins said that between 2000 and 2010, the nine Australian universities with more than 40,000 students increased their casual academic staff by 43.8%, in terms of full-time equivalents. That compared with 16.3% growth in full-time and fractional staff. Larkins found that among the nine universities,CurtinUniversityandSydneyUniversityhad been, proportionally, the least responsive in terms of increasing staff to meet rising student numbers. However,Sydneystill maintained a low student to staff ratio of 15.7:1, second only toUniversityofNSWwith 14.8:1. There is strong interest from Australian researchers in UK fellowships which come with a virtual guarantee of a permanent academic position. TheUniversityofBirminghamreceived nearly 1,400 applications from around the world when it advertised 50 Research Fellowships with a promise of a full time academic post after five years. Google Analytics reports showed that during the periodBirminghamwas accepting applications, interest from people at major Australian academic centres sat alongside academic centres in theUK. The level of interest not just fromAustraliabut from other countries even surprised the architect of the Birmingham Fellows scheme, Professor Adam Tickell. A ”behavioural capability framework” that requires thousands of RMIT staff members to meet a list of expectations, depending on their level of employment, has been approved by the industrial tribunal, Fair Work Australia. It says some academic and professional staff must ”promote the positive rather than the negative”, be optimistic and display passion for the job. Staff would be required to achieve ”external benchmarks of performance excellence”. The National Tertiary Education Union has described the framework as “latest managerial insanity at RMIT” and the expected behaviours as “subjective, vague and in some instances, ludicrous”. A lot of people agree: the framework has been widely derided as attempting to mandate “being happy” at work. The FWA decision has been appealed by the NTEU. What’s the deal on reduced ATARs? The performance and reputation of the UK’s Open University (OU) shows that teaching and learning online can be done at great depth and breadth and still be informed by research, writes Julie Hare in The Australian. Coming third in a national survey for student satisfaction last year, OU has 265,000 enrolled fee-paying students and numerous others around the world taking OU units for free and is soon to celebrate its five millionth download, 90% of which are from outside Britain. OU’s V-C Martin Bean points to an “unexpected thing” about this wholly online university — in research performance, OU makes its mark in the top third of British institutions. Australian university graduates who move overseas have deprived the nation of about $500 million in unpaid HECS dues since the scheme began in 1989, new research estimates. The study by Dr Tim Higgins and HECS architect Professor Bruce Chapman, both of the Australian National University, projects the cumulative figure to rise above $1 billion in the next 10 years. Higgins told Campus Review that while the amount represented a small portion of the billions total in outstanding HECS debts, it was significant and probably simple to start recovering. The study suggests three methods the Australian government could adopt. The researchers favour the idea that students be required to sign a HECS contract requiring them to repay their minimum annual debt if they live internationally beyond a short period. Analysing survey data from Graduate Careers Australia, the study finds about 10 per cent of all 2006 graduates with deferred HECS debts worked overseas within three to four years of graduation. The vast majority of the students seemed to stay overseas for more than three years. Experts are struggling to explain why international education is losing money twice as fast as it’s losing students, with the latest data showing the sector’s downturn in revenue is roughly double the downturn in enrolments. Australian Bureau of Statistics figures show total income from international education fell by 19% last year. But international student numbers fell just 9.5%, according to the enrolments data compiled by Australian Education International, or 12.5% according to the visa statistics published by the Immigration Department. Stephen Weller, deputy vice-chancellor at James Cook University, said the discrepancy could reflect the discounting of tuition fees. “Our understanding is that universities that are out of the Group of Eight, or in a regional situation, are having to resort to discounting to remain competitive,” Dr Weller said. Universities are giving away their intellectual property for free in the face of a growing acceptance that multimillion-dollar commercialisation wins are about as likely as winning the lottery. MacquarieUniversityhas followed the lead of theUniversityofNSWby adopting the Easy Access IP model, under which institutions donate IP to companies that will commercialise it for social or economic benefit. The model means that inventions that have a low commercial value but are costly to take to market might finally see the light of day. MacquarieUniversitysigned up to the consortium – which now has 11 members including universities inCanada,DenmarkandSweden– in the past few weeks. MacquarieUniversity’s director of commercialisation, Warren Bailey, said few university inventions made it to market. 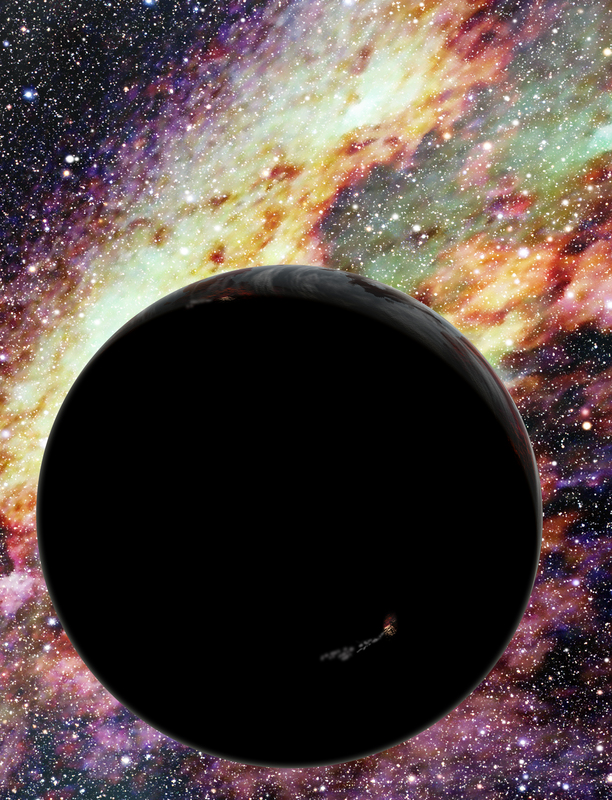 “Certainly we know that one in every thousand inventions may be a real winner,” he said. A Commonwealth government threat to redirect up to $9 billion for national skills development away from state and territory coffers has not caused a rush to sign up for the revised agreement. The states and territories are still poring over the Skills for all Australians statement, the proposed new national partnership on vocational education and training, to which the Commonwealth is seeking agreement at the COAG meeting on 13 April. After theQueensland election result, however, it is fair to assume that the Gillard government will have few friends at COAG, with that state joining Western Australia,Victoria and NSW on the Liberal-National list. 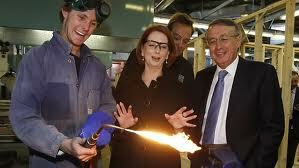 The result is that the Minister for Tertiary Education and Skills, Senator Chris Evans, will have a hard job persuading them to accept unchanged the skills report recently launched by Prime Minister Julia Gillard, which saw the Commonwealth offering $1.75 billion to support changes needed to implement a $7.2 billion national skills training system over five years. A St. Kilda company has become Victoria’s dominant training provider across two industries, after enrolments skyrocketed 9000% and 5000% respectively in one year. The growth has raised questions over the cost and viability of reforms designed to encourage competition in the training sector. Origin HR’s financial services enrolments increased from just 42 in 2010 to over 3600 in 2011 — more than three times its nearest competitor — while its business administration enrolments soared from 125 to over 6800. Origin HR is now the top private college inMelbourne’s south with more than double the enrolments of its nearest rival. It has more Victorian government-funded enrolments than almost half the state’s TAFEs. “Youth-led think tank” Left Right is advocating a radical overhaul of research linkage grants, diverting some of the funding to vouchers for industry to better link research to commercial demand. As the state’s public institutions come under the knife, California’s for-profit colleges have thrived, enrolling more students and benefiting from lax regulation — a trend that could place more students at financial risk. Continued cuts in state funding have forced some cash-strapped public schools to reduce class offerings and collapse programs, forcing students to turn to for-profits, a February study by the Centre for Studies in Higher Education at UC Berkeley shows. This trend may continue, as public universities would struggle to expand accessibility in the face of potential cuts of $200 million to the UC and CSU, should voters reject a proposal to raise taxes. The CSU announced earlier this week that it will not accept new students at most of its 23 campuses in spring 2013 and may reduce enrolment next fall if the initiative does not pass — cuts that could result in more students enrolling in for-profits. Five years ago,South Koreamapped out a plan to transform its education system into the world’s definitive digital showcase. Now there is a rethink. Industry has challenged business schools to become more diverse and to take a broader approach to management development in a bid to raise professional standards and boost innovation. CurtinUniversityhas kicked its bid for a new medical school up a notch with a public campaign designed to win the hearts and minds of West Australians amid opposition from medical groups. Universities must markedly increase their political capital if they are to avoid a continuation of the serious underfunding that could have dire consequences forAustralia.. The way Bill Gates sees it, the university as we know it is an endangered species. Five years from now – on the web for free – you’ll be able to find the best lectures in the world, the Microsoft billionaire said last year. And in Gates’s opinion this constantly expanding digital smorgasbord of educational choices will be better than any single university in the world. Another giant of the global digital communications revolution has a different spin. In his blog, Sergey Brin, the 36-year-old co-founder of Google, proposes bypassing centuries of scientific epistemology to close the time lag between research breakthroughs in academe and their real-world application. Brin’s particular interest is in accelerating research into Parkinson’s disease: he carries the high-risk LRRK2 genetic mutation. His model, extensively detailed in Wired magazine last year, proposes mining huge data sets using vast amounts of computer power and analytical algorithms, in much the same way Google can build detailed consumer trends by extracting patterns from mass online behaviour. Gates and Brin enjoy a unique perspective when it comes to understanding the impacts – and exceptional opportunities – of new technology: they are steering change from the top. Whether this translates into a keen insight into the future of higher education is a more contentious question. There’s little doubt technology is not only changing the way we teach and learn, it is also challenging centuries-old academic structures and practices, the notion of what it means to be literate and, potentially, the primacy of universities as the world’s arbiters and repositories of knowledge. In our new world of online plenty, “no matter what you are interested in you can go online and join a group of people attracted to something because they want to learn about it”, senior lecturer and online learning and teaching developer at the University of NSW’s college of fine arts Simon McIntyre says. He says educational institutions were once at the forefront of the way society communicated and learned, but since the boom in new communications technologies education has fallen behind. “People in their garages who develop technologies like Facebook and Twitter are shaping the way the world interacts and connects and education is now playing catch-up,” McIntyre says. Universities are investing in online course components and investigating the attention spans and communication patterns of the digital savvy gen Y or millennials (born between the mid-1970s and 2000). Some have raced off to buy islands in the online world of Second Life, where they are building virtual universities that students can attend as avatars of their real-world selves. Others, including many of the world’s most prestigious universities, are posting thousands of degree courses online for anyone with an internet connection to follow. This transition is uneven and how effectively universities adapt as technology continues to evolve will determine their future, McIntyre says. American e-learning expert Ashwin Ram says universities as elite, walled gardens of academe, laced with ivy, are already a thing of the past. “Ninety-five per cent of college students are spending up to 10 hours a week in social networks, blogging, updating their profiles, trading pictures and, yes, talking about schoolwork,” he posted in his research blog. Throughout much of the 20th century the getting of wisdom involved a largely one-way transmission of facts, theories and ideas. In school classrooms it was mainly chalk and talk from an authoritative teacher up the front; in universities we had various sages on the (lecture) stage or the less-inspiring drones on the throne. By 2000, 82 per cent of the global population could read and write and the classroom played a critical role in shaping lives worldwide. Knowledge resided in books, publications and educated minds. The traditional tools of teaching are now under intense pressure. As early as the mid-2000s, US universities reported 30 per cent to 40 per cent of students were refusing to buy textbooks even if they were required reading. AUSstudy last year of student distraction in lectures reported most students regularly used laptops and mobile phones in class for socialising, gaming and completing work for other subjects, and most believed it was legitimate to do so. Universities made their first tentative step into blending online and face-to-face learning by posting course notes and resources online, instead of handing out paper. Then came interactive discussion boards, blogs and online quizzes and tasks. Library hours were replaced by web searches. All of which fitted more or less into existing course structures. But what happens when one lecturer or an entire university puts their lectures online? UNSW computer science lecturer Richard Buckland, for example, became an accidental international video star on YouTube and iTunesU with his clear, congenial teaching style. If lectures are online, do students really need to attend? And if students aren’t inspired by their lecturer, there’s nothing to stop them dropping into another university’s lectures on YouTube. Patrick Stoddart, UNSW’s senior manager of technology-enabled learning and teaching, believes the conventional one-hour lecture in some disciplines may soon be replaced by something like a well-produced 20-minute video using multimedia formats. “Academics should ask themselves: Is lecturing the best way to teach this course? And is lecturing one of my strengths?” he says. Videos would be viewed in advance and on-campus time used to discuss and debate content. “This is slow-burn change, but when students experience an innovative use of technology in one course they will ask for it in other courses,” Stoddart says. And with smart mobile phones putting a new wave of apps in our hands, some educators are already considering the educational impact of augmented reality; that is, the ability of students to look at a building, for example, through a mobile phone camera and to see its history overlaid in images, to hear or read related commentary and to add their own input to the mix. This doesn’t mean we’ll teach brain surgery via Twitter to students scattered across the globe, but it may mean medical students will routinely walk through 3-D-immersive digital models of the human body or practise surgery in a virtual environment from anywhere that suits. It also means education, knowledge and achievement are opening up to a much broader range of students, particularly visual learners who didn’t have a chance to shine in text-based education systems, international e-learning expert Marc Prensky says. “What many educators often forget is that reading and writing, although they have enjoyed primacy for hundreds of years, are very artificial ways to communicate, store and retrieve information,” he says. Prensky argues that only 10 per cent to 20 per cent of people in any society are highly literate and points out that YouTube already hosts more video content than was produced in the entire history of broadcast television, including millions of how-to videos that show, not tell. “I would expect in coming years large numbers of additional video sites will blossom containing most of all of the information that is currently available mainly or entirely in print. Video is the new text,” he says in a 2009 paper. COFA lecturer Karin Watson believes teachers and lecturers of the future will become a guide on the side, with much of their contact with students taking place within multiple environments online. Not all academics are enthusiastic about new ways to teach, or necessarily competent do so. But criticism that new learning and teaching formats pander to a generation of students whose attention spans have been stunted by constant connectivity is debatable. Former Apple and Microsoft executive Linda Stone coined the term “continuous partial attention” and described multi-taskers’ lives as “a never-ending cocktail party where you’re always looking over your virtual shoulder for a better conversational partner”. Australian internet expert, Matthew Allen fromCurtinUniversityvigorously disagrees. “We have to get over the myth that mobile phones have eaten the brains of our children and talk productively about using new communications tools. “There is an untapped reservoir of interest and enthusiasm, and if you can find the right tasks [that] empower students, it’s like reaching a [teaching] tipping point,” Allen says. He says students’ expectations are more about how mobile communication is changing social mores (for all of us) than about the characteristics of a particular generation. Research by Allen and McIntyre also dispels the myth that the millennials are digital natives; being savvy social networkers is not the same as knowing how to use communications technology for education, they say. They, too, have to learn how. The bottom line, says McIntyre, is that technology is only a tool, so it’s only as effective as the person who is using it. Otherwise, new technology can be an irrelevant gimmick. 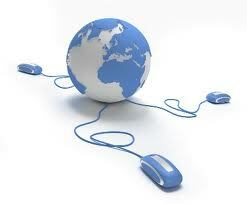 The web is a repository of vast amounts of information: wise, witty, true, false, boring and banal. Gates is probably ahead of his time in suggesting the average among us are capable of plucking a superior education from cyberspace. Gates didn’t even needHarvardUniversityback in the 1970s. He dropped out. But a huge amount of university teaching content is already online. The elite Massachusetts Institute of Technology, for example, offers 2000 of its courses, which can be downloaded free by anyone, anywhere in the world. This from the world’s third highest ranking university, which annually enrols only 1600 or so exceptional students, who pay $US53,210 a year (2010-11). To date, MIT’s online program has notched up 50 million hits. The debate over whether individual academics or academic institutions should give their valuable intellectual content away on the web has a long way to run. Supporters of open learning believe the web should be a vast, democratising space that allows as many people as possible to look over the shoulders of the intellectual greats; particularly the less privileged without local access to quality education. They also believe universities have nothing to fear from this burgeoning new repository of knowledge because students will continue to have good reason to pay to enrol; and not just because we are social animals who enjoy face-to-face interaction. No matter how many people watch online courses and join forums, if their knowledge and competence hasn’t been reliably tested they cannot claim they are qualified, he says. And, it’s more than that, McIntyre says. But then there’s Gates’s question about the future of single institutions. There is no longer any technological barrier to prevent students from enrolling in one degree program but picking up online subjects for credit at any number of universities across the world. Remote and rural students, too, should have much easier remote access to city universities, or to new study formats like short blocks of on-campus attendance, with most study completed online back home. 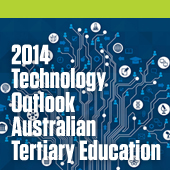 Theoretically, tertiary study could become an opportunity to choose your own adventure. Innovative universities might form select international consortiums that would allow students to tailor degrees; with on-campus stints inSydney,LondonandBeijing, for example, and a huge array of subjects offered on-campus or online from the entire list of combined course resources. Take the US-based Animation Mentor program, which promises a real-world curriculum and has strong links to the Pixar studio. The $US20,000 fully online course already has considerable cachet within the globalised animation industry, despite the multitude of multimedia programs offered by universities and colleges. The core business of universities is knowledge. But where will knowledge reside in the future and what will it mean to be educated? “What we are seeing is a repositioning of epistemology, and this is really important,” says Stoddart. But, as Brin’s Google-driven science demonstrates, there are new ways to do research. His test case on Parkinson’s risk factors generated published results within eight months, compared with six years for the conventional academic publishing cycle. And how will we judge the value of education for an individual student? In the foreseeable future it will be something between, he says. “I don’t think you can use the knowledge you can find readily unless you have a core of knowledge and that ability to do deep thinking,” he says. 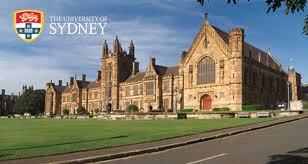 This article originally appeared in Uniken, the flagship publication of the University of NSW. Louise Williams is a partner with Sydney consultancy Writemedia and is a writer, editor and consultant in the education sector. As we featured in a recent article – The social & learning revolution – all universities are now increasingly “online” institutions, introducing “flexible” provision, utilising a mix of traditional delivery and online resources, such as podcasts, study portals, interactive discussion boards, blogs and YouTube. But the digital revolution in higher education also threatens the traditional place of universities, which have proved remarkably durable institutions because of their virtual monopoly on credentials and formal qualifications. In recent months, that monopoly has begun to crumble, writes Kevin Carey in The New Republic. New organisations are being created to offer new kinds of degrees, in a manner and at a price that could completely disrupt the enduring university business model. While at first such qualifications may not have the cachet of degrees from “traditional universities”, they fit perfectly with the classic theory of disruptive innovation. Developed by Harvard business school professor Clayton Christensen, the theory holds that there is a consistent pattern across a wide range of industries where disruptive competitors start by competing against non-consumption—that is, by selling inferior goods to people who aren’t served by existing producers. These are generally low-margin businesses that existing industry leaders have little interest in serving because they became industry leaders by selling the best, most profitable products to the consumers who have the most money. But over time, the new competitors get better and better at providing the product or service, expanding into successively more profitable parts of the market, until finally they displace the incumbents. And the competition is gathering. A recent edition of The Chronicle of Higher Education revealed that in recent years, venture capitalists have poured millions into education-technology start-ups in theUS, trying to cash in on a market they see as ripe for a digital makeover. Investments in education-technology tripled in the last decade, shooting up to $429-million in 2011 from $146-million in 2002. The boom really took off in 2009, when venture capitalists pushed $150-million more into education-technology firms than they did in the previous year, even as the economy sank into recession. The investing community believes that the Internet is hitting education, that education is having its Internet moment, says one leading “education entrepreneur”. The scramble to make bets on a tech-infused college revolution has led to so many new companies that even industry insiders can’t keep track (see 12 Dozen Places To Educate Yourself Online For Free) . But what if there is another way to get your education and get the credential and the badges that go with it? What if very good competitors offer this access and provide a route to very specific, perhaps even singular, learning outcomes, which, if put together, provide the basket of learning outcomes that learners then use to continue their life journey and career? Where does that leave Deakin? What are the implications for our research endeavour? 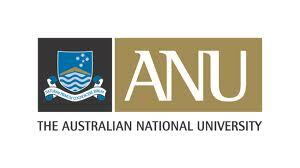 On 1 January 2012, a limited form of the market came to the Australian university sector, with universities competing among themselves for publicly subsidised students but not with others.. There’s likely a whole new wave of competition about to come crashing down on the sector, with strong, well funded private providers already established – Navitas, Laureate, SEEK, MITB – pushing into the higher education space and online learning. 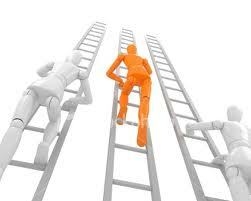 And it’s competition which can’t and won’t be limited or constrained. The next few years will be challenging times for the less well established universities, times that are likely to portend some sectoral consolidation, rationalisation, call it what you will. A shake out? Disruptive technologies in higher education: adapt or get left behind. Although universities are currently adapting to many political, economic and social changes, they cannot afford to ignore technological transformations as well, says Matthew Draycott. It’s not difficult to conceive of a world where the ‘top’ universities offer costed, automated online courses delivered through mobile platforms internationally, cutting out a whole range of providers. While these courses might not appeal to everyone, they could be of great interest to those struggling with the rising costs of higher education, international students or the growing sector of our society who want to create their own programmes tailored to their interests and don’t care if these come from traditional providers or other sources such as: Codecademy, Udemy or Academic Earth to name but a few. Shirley Leitch addresses a common misconception: that “free content” equals “free education”. She writes that while there are a large number of providers – most notably the Open University in the UK – providing free content online, this is not the same as a free education. If it was, it would mean the existence of libraries equates to providing free education in a paper-based world. Neither the Open University nor MIT offer active teaching or assessment through their free portals. The Khan Academy does provide some teaching, but there are no assessments or feedback. It is the teaching and assessing that costs money and this is what students pay for. Undertaking self-study without the support of an interactive teaching environment does not deliver excellent student outcomes. Free content does not provide a high quality learning experience. You might read a book and learn something from it. But this cannot be compared to the value and quality of education gained through an interactive, student-focused, learning environment.